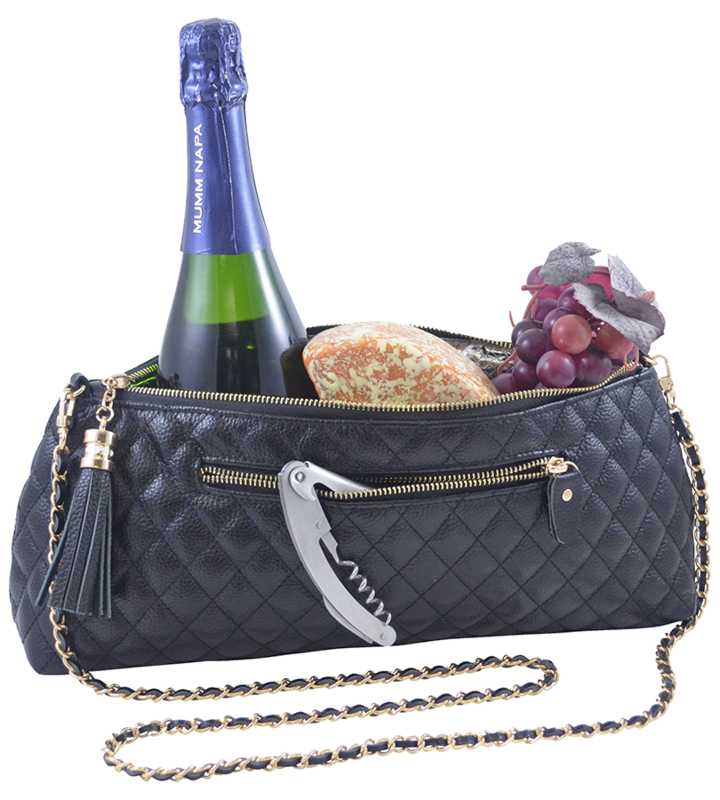 We offer to you the Soirée wine purse, a single bottle wine tote. The Soirée is made of genuine leather and contains a thermal insulated compartment to keep your favorite bottle of wine chilled. It comes with a stainless steel corkscrew. Small, lightweight, elegant and fashionable. A wonderful gift idea for the wine connoisseur! Can double as a lunch bag too!